In some ways, the 1970s was a golden age of childhood. With mom back at work, the smothering overparenting of the 1950s was impossible, while the 'milk carton kid'-fueled stranger danger of the 1980s was still a decade away. Kids were free to roam their neighbourhoods unsupervised, looking for fun. 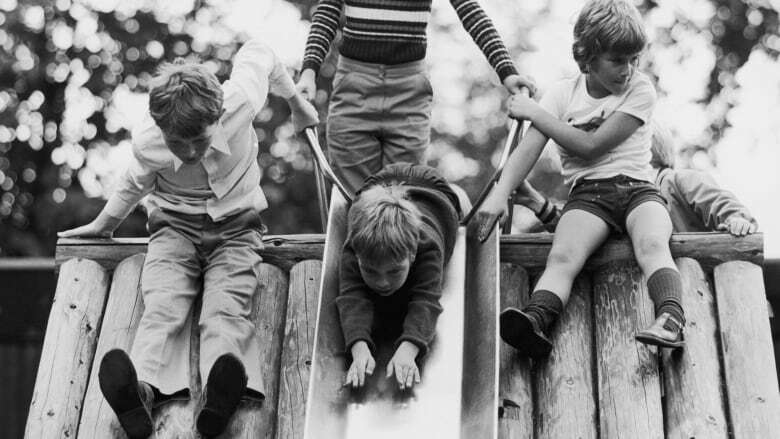 Unfortunately for these kids, fun often came with a side of peril. Because toys in the 1970s could be alarmingly dangerous. And we're not just talking about bumps and bruises. Here are six 1970s toys that would cause modern parents to panic. 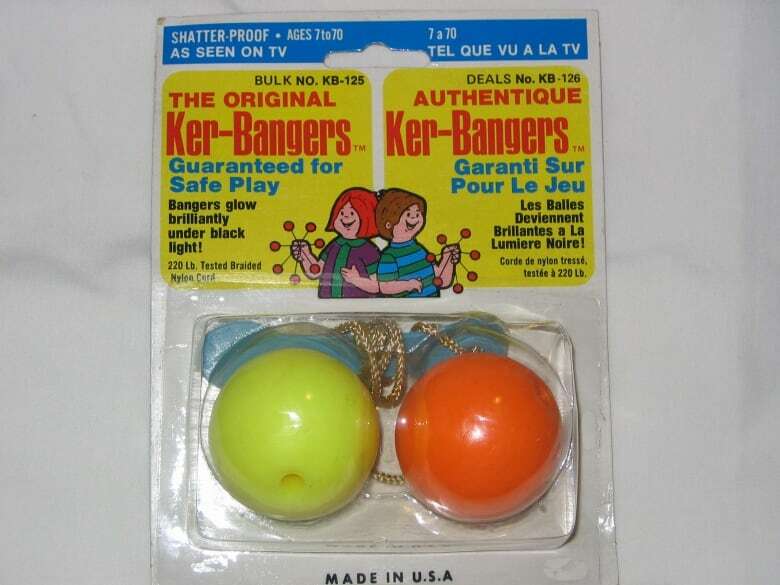 Clackers went by many hilarious names in the late '60s and early '70s: Clankers, Click Clacks, Knockers, Bonkers, and Ker-Bangers. No matter what you called them, they were all basically the same thing: two acrylic balls on a heavy string with a ring in the middle. You held them by the ring and flicked your wrist, causing them to bang together, making a satisfying rhythmic clacking sound. With a little practice, you could learn sweet clacker tricks and be the coolest kid in the playground. Sure, there was a danger of getting a bruise or a pinched finger while you were mastering them, but that wasn't the real danger. The real danger of clackers was that the balls would break, turning into flying projectiles. Occasionally they would even shatter, sending shards of plastic everywhere. 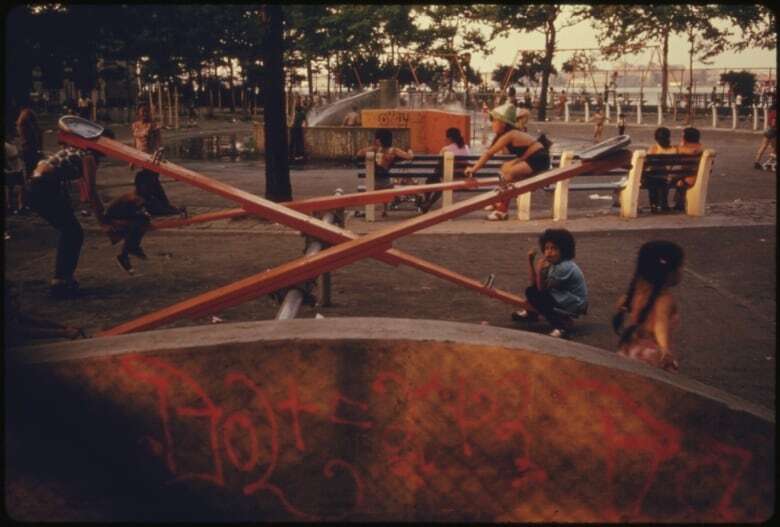 Where today's tots get soft rubber mats and slides that barely have any slide to them, kids of the 1970s got to hang off of two-storey spiderweb domes, zip down steep slides, go flying off enormous metal merry go-rounds, and probably land on pavement! If you were really fortunate, your playground might be bedded with gravel. And the best part was, everything was made of steel, so it all became 'surface-of-the-sun' temperature in the summer. 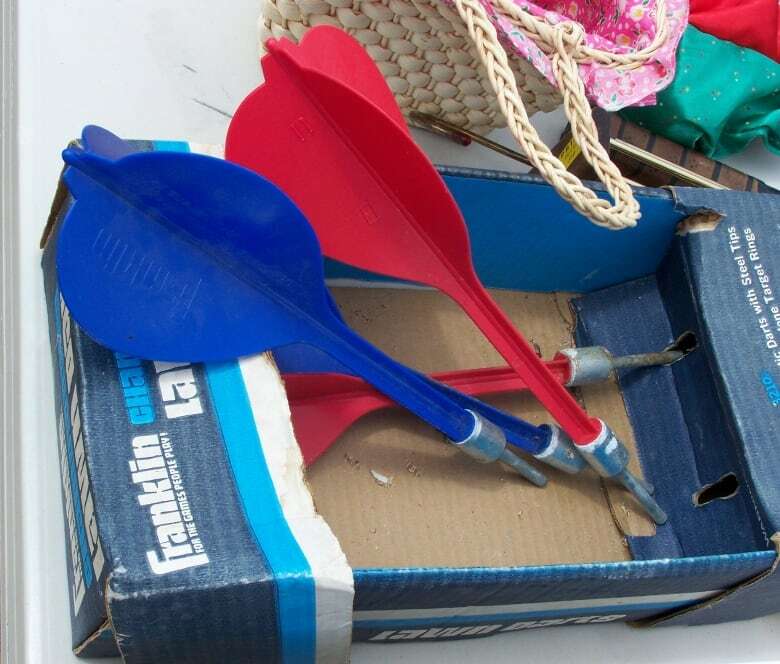 A game of lawn darts, or jarts, seems like a pretty fun way to spend a sunny summer afternoon. It's outdoors, pretty much anyone can play and the rules are simple. Jarts stop seeming so fun when you realize that these are large, sharp-tipped projectiles that you hurl through the air. They were supremely dangerous and were eventually banned in the U.S. in 1988 after the death of a 7 year-old girl in California (Canada followed suit the next year). In the eight years leading up to their American ban, lawn darts sent 6,100 people to the hospital. Starting in the late 1960s, so-called "muscle bikes" or "wheelie bikes" became a must have for middle schoolers. These bikes had hot rod-type styling for kids who weren't old enough to drive: "ape hanger" handlebars, Dayton rims, wheelie bars, banana seats and small front wheels that were easy to lift off the ground. These bikes weren't meant as transportation, they were for looking cool and doing stunts. No bike stunted harder than the Swing Bike. The Swing Bike had a second steering axis in front of the seat, meaning you could ride with one wheel on the curb and another on the road, or in a cool S-shape. It also was hard to steer, and made you much more likely to fall on your face. Unlike some of the other toys on this list, Super Elastic Bubble Plastic didn't carry the risk of physical trauma, so didn't seem dangerous. Kids would put a ball of viscous goo on the end of a straw and blow, turning the goo into a semi-malleable sort of balloon, or bubble. The problem was the goo was made out of polyvinyl acetate, ethyl acetate and acetone, which could give off noxious fumes. Those fumes would gather in the straw, and cause kids who inhaled them to have a variety of symptoms ranging from dizziness to involuntary muscle twitching. Over the years, several companies have tried to bring back a less toxic version of Bubble Plastic. That's right, even the most benign '70s toys were low-key trying to kill you. How can Lego possibly be dangerous? Lead. 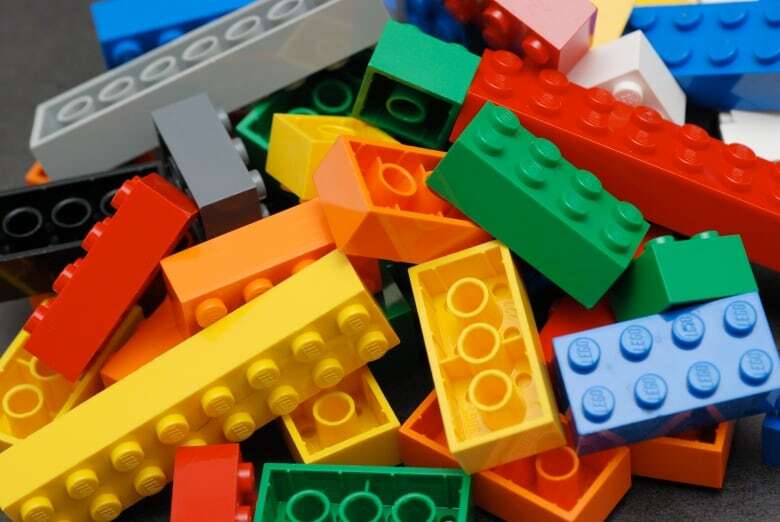 If your Lego was made before the early 1980s, it's probably coloured with lead, cadmium and other heavy metals. It's amazing any of these children survived.